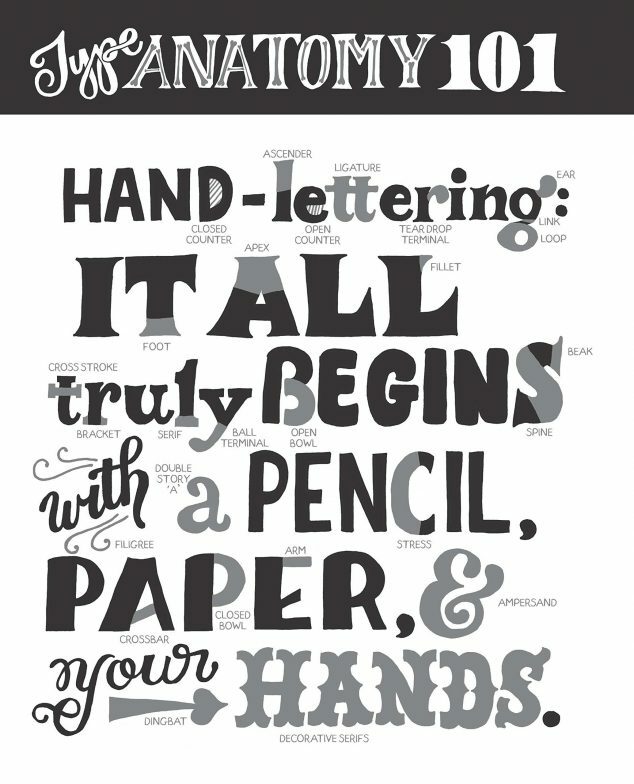 Hand lettering is all the rage, and it’s not a trend that’s letting up anytime soon! 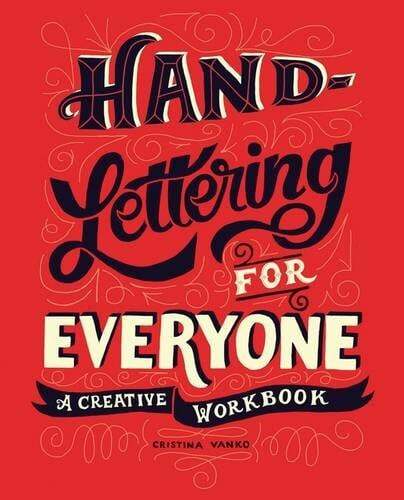 In fact, a new book just came out by Cristina Vanko called Hand-Lettering for Everyone that I am LOVING. I’ve honestly been playing with this creative workbook every evening after Blakely goes to bed. There are so many fun ways to incorporate hand lettering ideas not only in your parties and entertaining but in everyday life too! I’m not nearly as good as others but it’s soothing and fun to practice while watching TV or just relaxing. It’s almost like those coloring books for adults that are getting popular, have you seen those? Except I find this way more fun because I can incorporate my lettering into projects and crafts! Gift wrap tags and gift wrap itself! So while your binge watching Orange is the New Black, get yo’ letter on! As it says above, it all truly begins with a pencil, paper, and your hands! 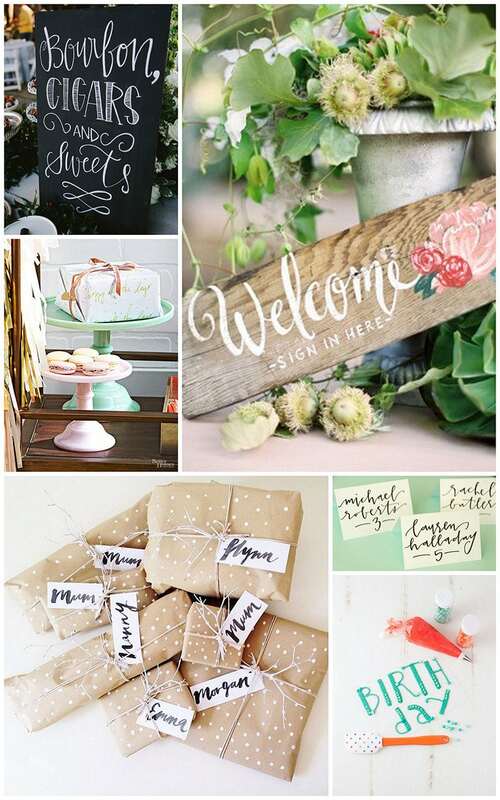 The possibilities are truly endless for creative ways to incorporate hand lettering into entertaining and everyday life! Oh yeah I love this and I am spending hours a day perfecting my craft. I want to become a hand letterer and watercolor artist. I am currently in my humble beginning and doing this fall hand lettering challenge on my blog. Thanks for this awesome post!